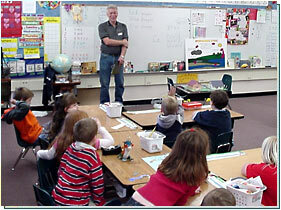 On Thursday, February 3, 2005 Bill Frondal and Chris Nelson were special guests of Ms. Anderson’s 1st grade class at Schweitzer Albert Elementary School in Carmichael. Bill and Chris taught the class about the importance of water conservation and the dangers of backflow. The presentation included facts about the hydraulic cycle and where our drinking water comes from. The class also watched a demonstration on how contaminated water can backflow into the public water supply. The children were very polite and asked several important questions. Ms. Anderson’s 1st grade class learning about the importance of water conservation and the dangers of backflow. 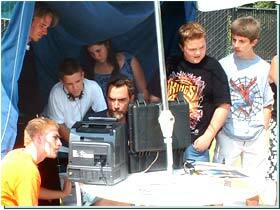 The District has developed a mentoring program with the North Area Teen Center. It has been noted that the teens have been pleasantly surprised by the number of career and educational opportunities in the water industry and the longevity of employee’s careers. 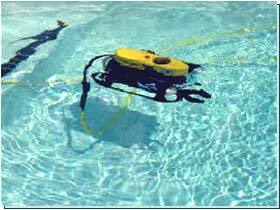 The District is encouraging a regional effort to expand the program to include local high schools and community colleges, encouraging students to consider careers in the water industry. District Board Members and staff also participate and promote a mentoring program throughout the community: school speakers; tours of the District’s facilities; water awareness programs (The Sacramento Bee Newspapers in Education: Be Water Smart); Carmichael Founder’s Day event participant; Carmichael Chamber of Commerce member and speakers; organization/club speakers (Boy Scouts, Rotary, Lyons, Neighborhood Associations, Environmental Groups). District staff members also partner with other local agencies within the water industry to instruct and train their employees. 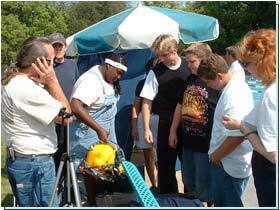 Participants view a hands on demonstration of equipment.